Made with a blend of recycled polyester and organic cotton, this shirt wicks moisture, stay dry in hot, humid weather and feels like it sits above the skin. A long time favorite for travellers who find themselves on the road during monsoon season, where the temperatures are high and humidity is peaking. The Puckerware Shirt keeps you dry and comfortable on the muggiest days. Made from a textured 65% recycled polyester/35% organic cotton seersucker blend, the crinkled weave stays loose and lifts away from the skin, allowing air to circulate and moisture to dissipate. It also resists wrinkling, washes easily and dries in a flash. 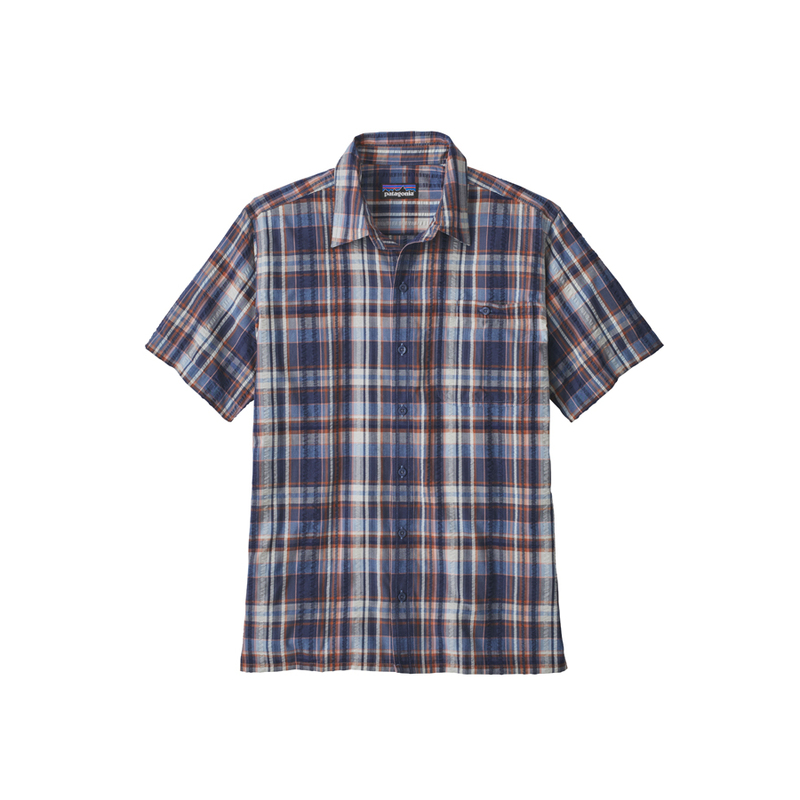 Features include a button-down chest pocket, side vents and straight hem.